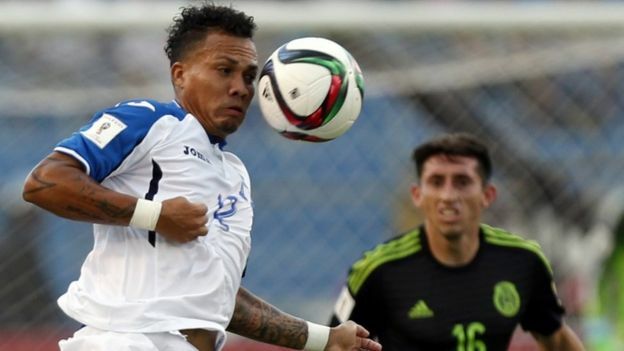 Honduran international footballer Arnold Peralta has been shot dead while on holiday in his hometown. He was killed in the car park of a shopping centre in La Ceiba, on the country’s Caribbean coast. The motive for the attack is unclear. The 26-year-old midfielder for Olimpia, in the capital Tegucigalpa, played for Scottish giants Rangers until January. Honduras is plagued by gang violence and has one of the highest murder rates in the world. Peralta had complained about violence in his homeland in a tweet late last year. There will be a minute’s silence held before Rangers’ game against Morton on Saturday, Peralta’s former club said in a statement on its website. “The players will also wear black armbands in his honour”, it added. Officials from the public ministry told the local El Heraldo newspaper that Peralta had been hit by 18 bullets. Osman Madrid, director of the Honduran football federation, said it was a “tragic death that the national sport mourns”. No arrests have been made. Police ruled out robbery as a possible motive because Peralta had not had his belongings taken.